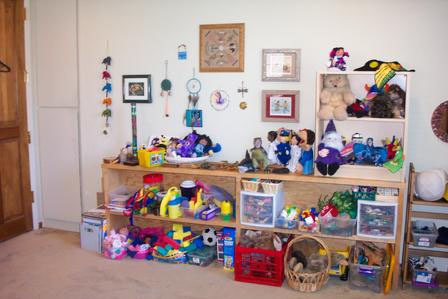 Mission Statement: The StoryPlay® Center provides and develops creative and culturally sensitive therapeutic approaches, workshops, and programs for healing, growth, and problem solving to children, adolescents, families, communities, and organizations. What is StoryPlay®? StoryPlay® is a model of therapy that provides creative approaches for healing, problem solving, self-growth, and professional development. Expanding upon her model of Ericksonian Play Therapy, StoryPlay® has been in progress for over two decades by Dr. Joyce Mills. StoryPlay® uses the foundation of metaphors, storytelling, and play, along with the principles of Ericksonian hypnotherapy, and Indigenous teachings, from which all therapeutic approaches are designed and implemented. Why use StoryPlay®? Since Play is the language of children, and Creativity is the language of Play, The StoryPlay® model brings together the elements of story, creativity, and play to form a unique and proven method to effect positive change, healing, and problem solving. 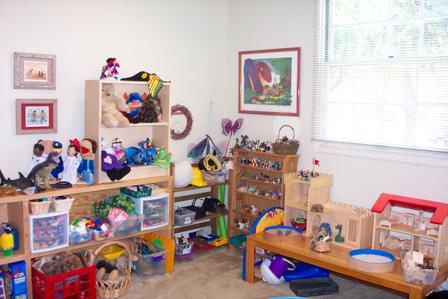 StoryPlay® draws on the natural inner resources, skills, and strengths of each individual, group, and organization to create therapeutic growth and change. Therapists, educators, and health-care professionals seeking creative professional development. Children, adolescents, families, adults, and communities who are seeking therapy, motivation, and creative solutions to problems and healing. Business executives and employees seeking to bring new approaches for reducing stress, building leadership skills, and enhancing happiness in the workplace. 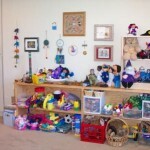 What does The StoryPlay® Center offer? Professional Development, Training & Supervision. 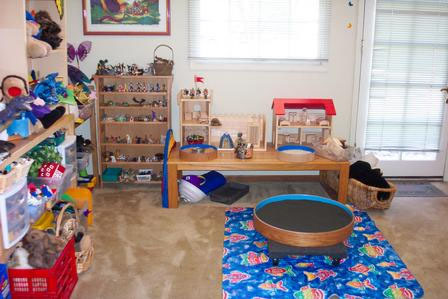 The StoryPlay® Center provides students and professionals with training in Dr. Mills’s unique and proven method ofStoryPlay® therapy. 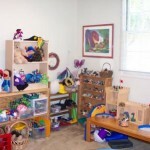 Conducted in workshops, retreats, or through supervision, the training sessions allow the participant to understand, observe, and perform hands-on StoryPlay® therapy. 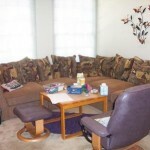 Dr. Mills is a registered supervisor in play therapy. CEU’s are available. Speaking Engagements. Dr. Mills is available for keynote speeches, seminars, and presentations tailored to the unique growing and healing needs of your organization. 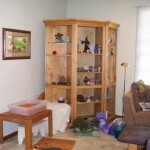 Overcoming obstacles through the use of StoryPlay® is emphasized throughout the presentation. Publications. Dr. Mills has authored seven books for professionals, parents, children, and students based on her groundbreaking work in StoryPlay® therapy. Dr. Mills is the co-author of the award-winning book Therapeutic Metaphors for Children and the Child Within, and author of Reconnecting to the Magic of Life, wherein lies the cornerstone of her StoryPlay® therapy model. Consulting & Program Development. The StoryPlay® Center provides consulting and program development services to community organizations, counseling and educational agencies, associations, businesses. 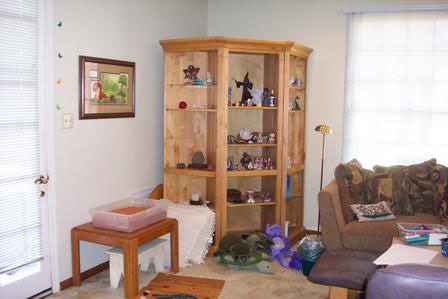 Counseling/Therapy.The StoryPlay® Center provides individual counseling to children, adolescents, adults, and families based on the groundbreaking StoryPlay® model developed by Dr. Mills. Parent empowerment offers parents creative tools to bring out the best in their children. Wisdom Teachings. 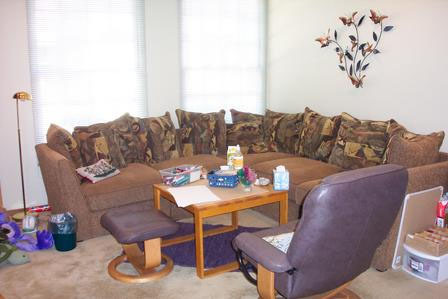 The StoryPlay® Center hosts small group gatherings led by Native American elders and related family members. These gatherings will focus on sharing Wisdom Teachings from their tribal traditions. These offerings can include storytelling, crafts, and dance.